08/31/2016 – The Motor Vehicle Service Craft has won some major battles in the fight against subcontracting, but challenges still lie ahead, MVS Craft Director Michael O. Foster said at the craft conference prior to the National Convention. “We continue as a union as a whole, to try to get the Postal Service to see the value and benefit of work being performed by bargaining unit employees,” he said. The Postal Service continues to subcontract work under the guise of saving money, but Postal Vehicle Service (PVS) employees can often perform the duties as the same cost or less expensively, he added. The new Collective Bargaining Agreement includes a moratorium for the life of the contract on new subcontracting in the craft . In addition, all Postal Support Employees (PSEs) in the MVS Craft will be converted to career. “We have made some major strides forward and we made agreements that we’re going to do studies in different locations that’s going to help us prove to the Postal Service that if we do some of the work that the contractors do, as far as driving and if we can go further out distances, then our cost would be equal or cheaper than the Highway Contract Routes also to,” Foster said. Foster also stressed that unlike contractors, postal workers are trained and sworn to preserve the sanctity of the mail. “We will continue to challenge the Postal Service on the improper contracting out of initiatives,” Foster concluded. 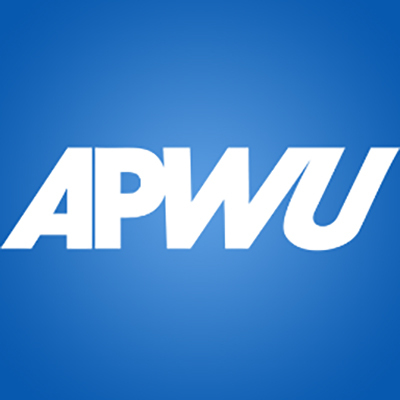 03/17/2016 – The APWU and USPS have signed an agreement that prohibits the transfer of Postal Support Employees (PSEs) between installations or districts in the Motor Vehicle Craft, MVS Director Michael Foster has announced. “We discovered that the USPS was allowing PSEs to transfer in various parts of the country without negotiating with the union,” Foster explained. “This had the potential to cause many repercussions in the field, such as manipulating the salary structure of PSEs in an installation and impeding the transfer of career employees. We will continue to strive toward our goal of having all PSEs converted to career status instead of transferring from site to site,” he said. The Memorandum of Understanding was signed on March 16. 3/27/2015 Arbitrator Stephen B. Goldberg has sustained the MVS Craft Step 4 dispute in Case # Q10V-4Q-C 14125953, regarding contracting out Postal Vehicle Service work. The union filed a national-level dispute, charging that it was improper for the USPS to even consider such an action because management had failed to comply with provisions of the 2010-2015 Collective Bargaining Agreement, including the MVS Jobs Memorandum of Understanding (MOU), and the MOU on Contracting or Insourcing of Contracted Services.